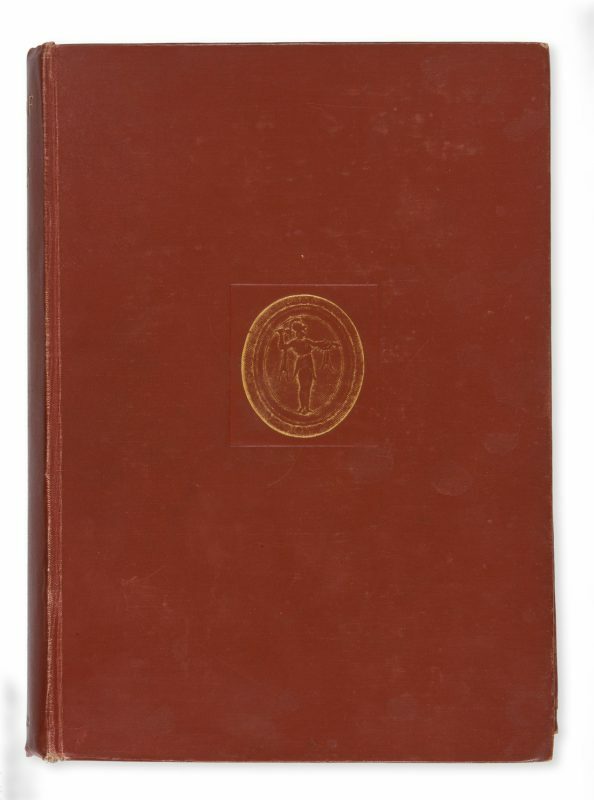 London : Macmillan, 1912. 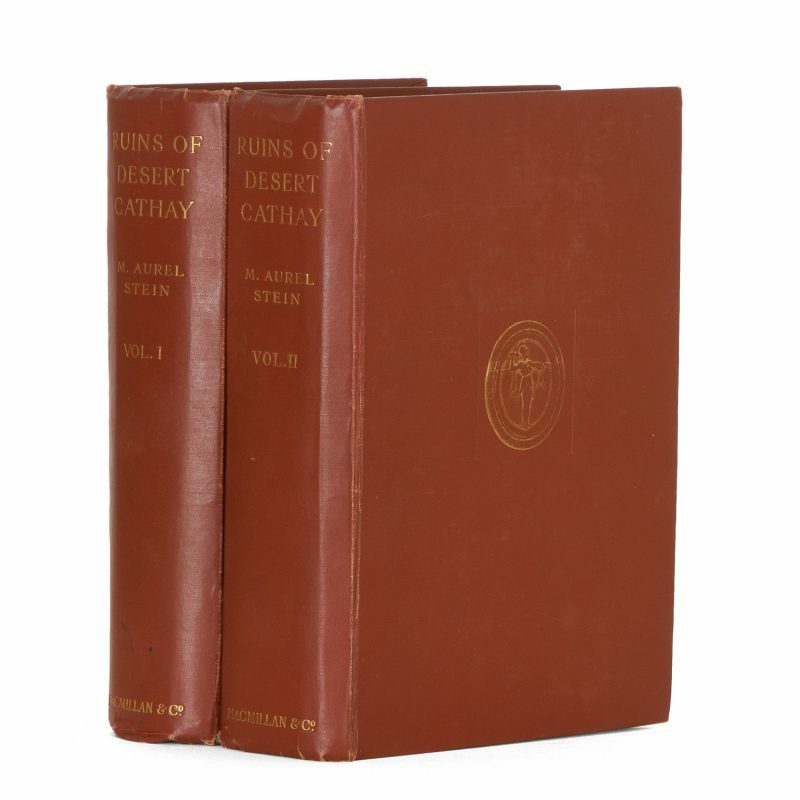 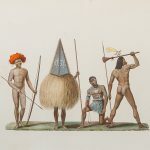 Two volumes, thick octavo, gilt-lettered cloth (edges a little rubbed but a very good set), top edges gilt, pp xxxviii, 546; xxi, 492; extensively illustrated with photographic plates, panoramas, three folding maps (two detached with reinforcement to the folds); light foxing to preliminaries, overall clean, a very good set. 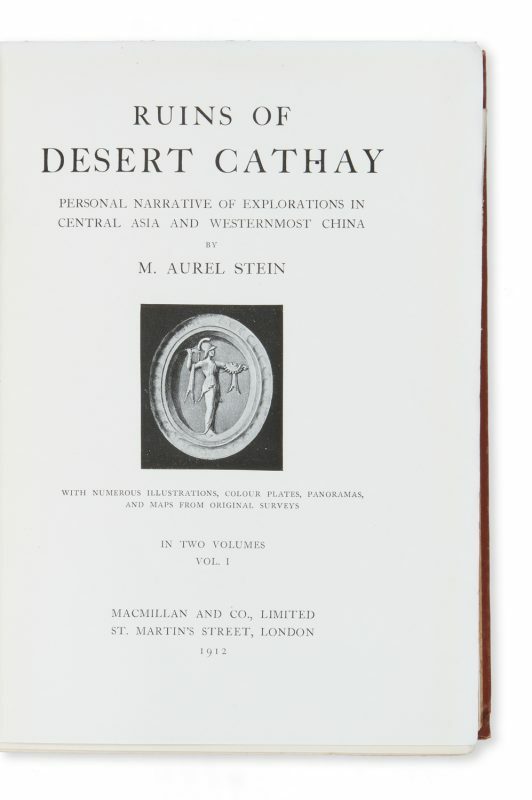 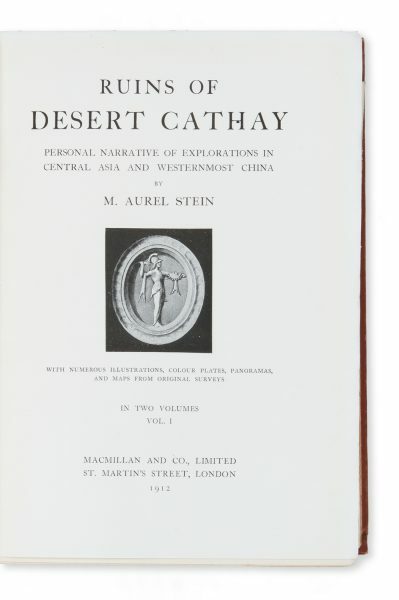 A substantial travel narrative of Stein’s second expedition into Turkestan and Western China.